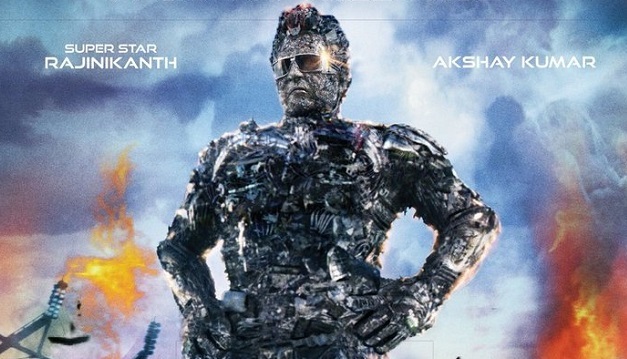 2.0 (Hindi) has registered further good hold on Tuesday (6th day) Morning shows as early samples are received. With word of mouth positive we expect film to register jump in later half of the day. 2.0 has opened to around 25% occupancy in Morning shows today. Samples are from multiplexes only. In comparison, Monday Morning occupancy was around 30%. Drop is around 15-20% which is a good hold. 2.0 is again set to collect in double digit for the day, if we go by the current trending of the film. With good jump through the day film may collect few more by the end of the day. Start for the day is good and now we hope that film remains strong through the day. As family audiences are liking the film, we expect a good to very good occupancy in Evening and Night shows. Still I think collection is low considering the hype before the release. Should have done atleast 150 cr (Hindi) by now with such a wide screen release. That's my expection for the film. It will do some minor profit but will not be a wide scale profit. And people who are talking about this is Akshay film, it's not Akshay stardom who pulled the crowd to theatre. Moreover who would invest 500 Cr with Akshay who never had a film of 200 cr collection. AKSHAY doesn't have 200Cr movie true! LOL but has 5 back to back 100 cr movies with 4 movies in a year. No other Actor would dare to do that in his lifetime. SHOWS how much ILLITERATE You are. Rebort ka business hindi main kafi tha. or trp boht high thi tv per. isliye awam aye dekhny 2.0. wesy bi hindi main akshay ka factor tu definatly hai hi. lekin yeah movie tu rajni sir ki hi hai. KAL k comparison mein kaafi low occupancy hai it's looking tough to touch 200 crore life Time in hindi version. bhai makhi ki aukat nahi k 200 karey apni life mein, bad words use karne se aukat nahi badal jayegi makhi ki. pehle tameez se bolo uske baad debate karo. makhi c grade actor.. Please admin update worldwide gross so some people who does not understand movie economics gets clear picture. According to some people 550 crore budget movie earn 111 crore. But the clear thing is hindi distribution rights sold for 80 crore and it has. 111 crore nett in hindi. Whereas overall budget is 550 crore and it earn 450 crore+ worldwide till today. agree. akshay ki waja sey north main chal rehi hai. but its main lead or star rajni sir hi hain. rebort ki television trp sb sey ziada this hindi main islye awam is bar cenema gai dekhny. Talash is nt a flop.budgt was 50 cr n ww gross was 180 cr in 2012..
Can anyone tell how 2.0 with very high occupancy throughout Sunday only collected 33.25 crore (BOI). Whereas Sanju too released on 4200 screens having similar occupancy on Sunday collected 46.7 crore. Yes 2.0 didn't release in hindi in South but screen count is similar to Sanju 4200. Kamz hindi right sold for 80cr only. Here we r talking about hindi version. And 12cr hold is only for hindi. Go and read some BOI articles to increase your knowledge. Ye movie akki ke carrier ki first 200 ho skti h & last v.
Negativity tum log kar rahe hai. Go and read your own previous comments. Wat abt blue in Diwali mega budget.tashan in Diwali mega budget.joker.tees mass khan in Xmas.nc i in dobara sequel facts in eidd.. chndni chwk ktasveer.naam hi nai yaad aa rha h time disaster h aksjt me.de dana dan.same typ of movies he done ..bhaagam bhag .ol flopped badly..
agar sar dard se bachna ho toh mitro ek ek combiflam zarur lekar jaana agar koi jaane ka ichhuk ho. warna ek blanked soney k liye. Bhai mental kaun hai wo pata chal hi rha hai hazam nhi ho rha hai abhi tak race 3 aur thugs of hindostan logo ko. Admin please ban abusive account. Anyone can write anything but abusive language is not right thing. Admin please take strict action. Lol.y so debate.true facts..yes akahy gvn 4 100 cr out of 5 movies ..padman 80 cr ..vch is good.in 2 yes.bt he also gvn 5 flops in a yr fr 4 yrs..so y so mch halla.frm sunday 33 cr Monday 12.5 cr real fig.is almost 65 prcnt fall vch is a flop she..i was thnkng it vl do akahy frst 200 cr bt nw it's confirm it vl b max 180 cr.n in sequel facts 4200 screens in hindi version singl release.grt hype rajni supprt.its a huge flop.wait fr verdict..n rights were sold fr 80 cr in 70 prcnt area to Karan.n balance fr 40 cr to odr distrbtrs..vch is less fr hindi movies.n by collctn it vl b no loss.sav8ng akahy from tashan talaah joker tees kar khan blue n Mny odr big budget disaster in festvl release..nc upon dobaravhuge flop I eid.janeman in Diwali.chndni chwk to china huge disaster tasbveer ol r major flops.so islie akahy ka opening acha nai hota cz uska koi theek nai h..robot m bht bekar opening the so no strdam.bt weekend thk the n nw again major dwnfall on Monday.it trndng lyk thugs.cz thugs on Monday wit screen cut to 3000 done 6.7 cr in hindi from 18 cr on Sunday. 60 prcnt downfall.n robot 2 g 33 cr to 12.5 cr 65 prcnt downfall.n Tuesday afternoon n avg r less from morning ..a majr setback.dwnfall of 20 prcnt.tuesday vl b 10cr ..lyftym nw 170 -180 cr..chllng..no debate nly true facts. I'm amazed that Makkhitards are so happy for such moderate collection. 😂😂 Compare this with bahubBahu, not other bollywood movies. Trader and exhibitor are in cheer mode because of 2.0after the losses they face from toh acc to taran adarsh. All time 13 th grosser in five day with 451 crore gross. Bhagam bhag was hit, tees mar khan and de dana dan are semi hit. Only big flop from akshay is blue. Admin how a movie whose distribution rights sold on 80 crore need 160 crore to be hit. It only need 120 crore. Is there different logic for akshay and khans.